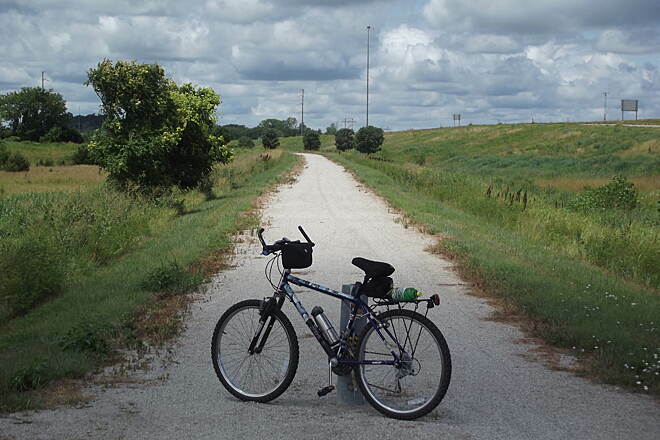 The Prairie Spirit Trail in Kansas is hard-packed limestone and suitable for bicycles as well as wheelchairs. 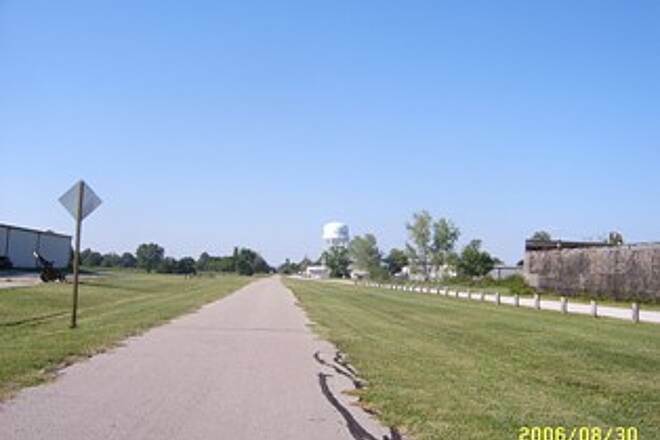 Some of the trail is asphalt (within city limits), which allows for inline skaters. 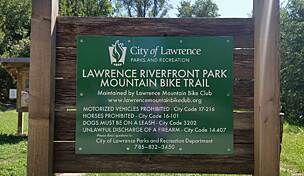 The trail is open during daylight hours; special permits may be obtained for group night rides or other events. 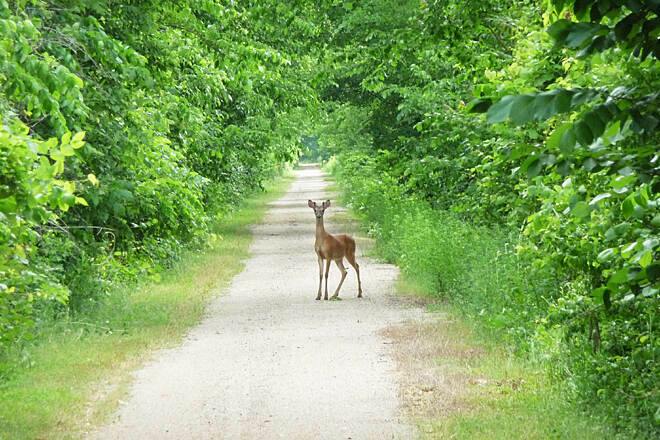 Now over 50 miles long, the trail runs from Ottawa to Iola, offering plenty of recreation and enjoyment for birdwatchers, cyclists, walkers, joggers and anyone with a desire to explore the heartland—the spirit—of Kansas. 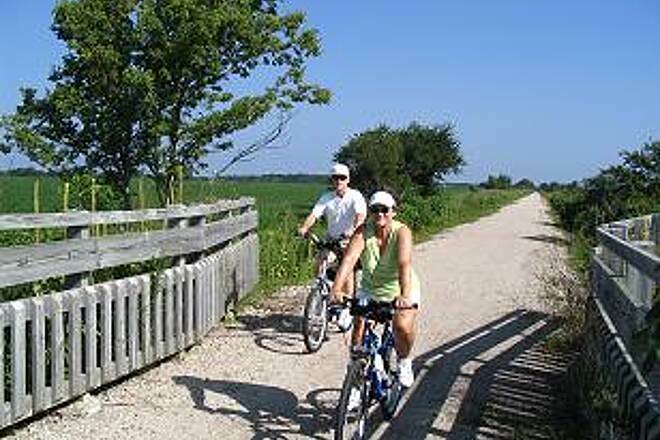 The trail, administered as Prairie Spirit Trail State Park, offers visitors a taste of rural, middle America at its finest—rolling pastures, lazy streams, wooded ravines, friendly townspeople, colorful wildflowers, big farms and an endless sky. 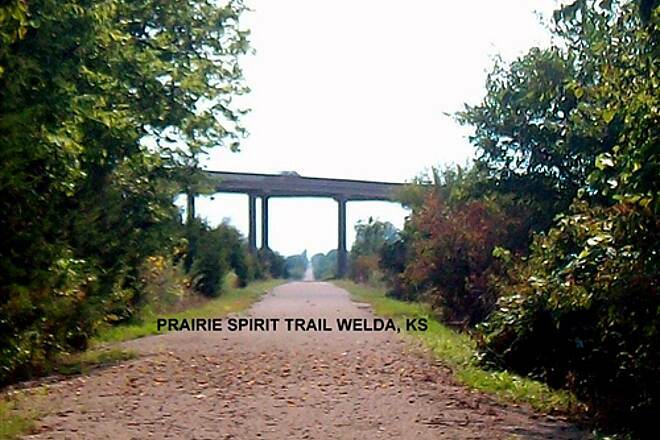 To celebrate the 15th anniversary of the Prairie Spirit, Rails-to-Trails Conservancy added the trail to its Rail-Trail Hall of Fame (August 2011) for embodying the unique natural and cultural history of the region and acting as a vanguard for other rail-trail projects. 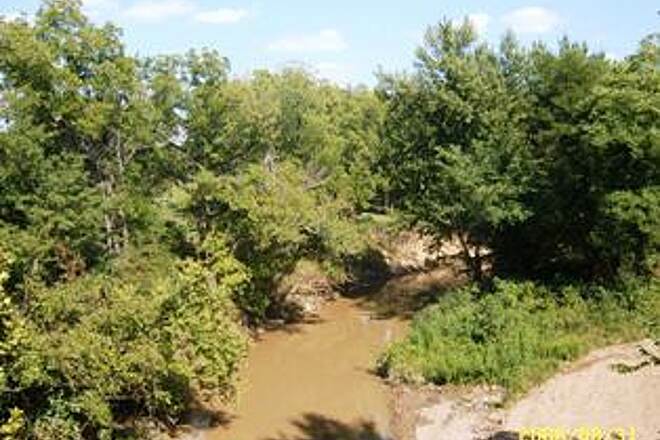 Two centuries ago, this area was part of a vast and largely untouched prairie ecosystem that sustained not only millions of bison and other wild creatures, but also native Kanza and Osage people who hunted game and grew crops here. As European settlers began to move in, so too did the railroads. In 1858 a group of businessmen from Lawrence broached the idea of the first north-south rail line through the state. In the 1860s the idea became a reality with the opening of the Leavenworth, Lawrence and Fort Gibson Railroad (which later became the Leavenworth, Lawrence and Galveston Railroad). 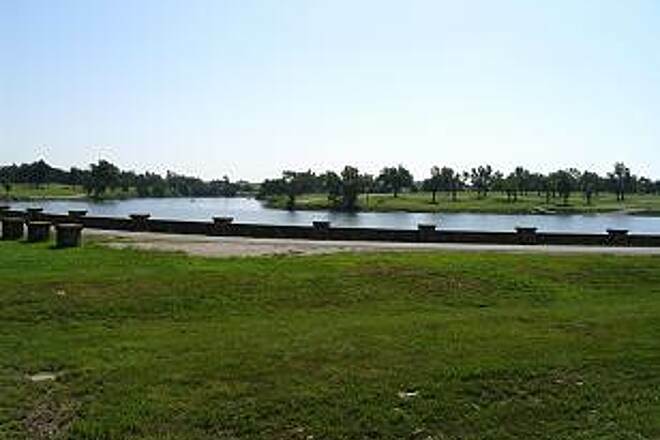 By the mid-1970s the line fell into disuse; in 1990 it was sold to the Kansas City Terminal Railway Company (KCT), which filed for abandonment not long after. 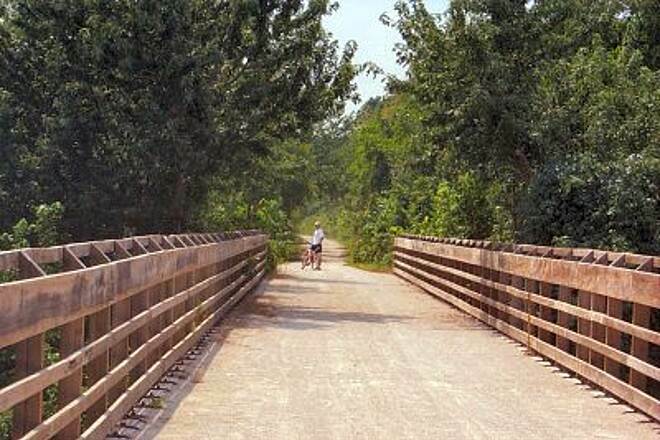 Fortunately, government officials saw an opening to create the state's first rail-trail along this corridor. 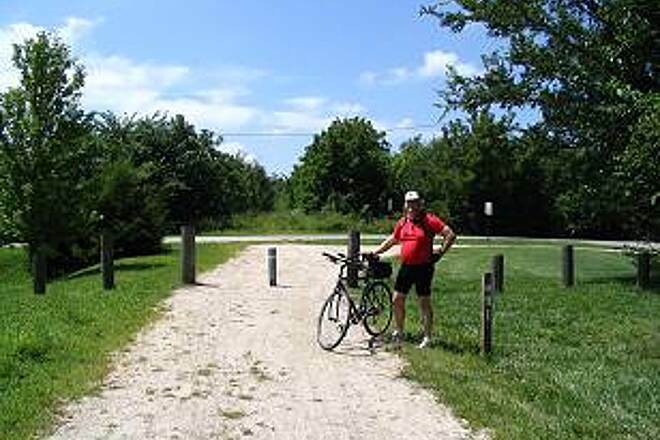 The Prairie Spirit Trail remains the only rail-trail in the Kansas State Park system. Construction began in 1992, and the first section, 17 miles from Richmond to Welda, opened in 1996. The northern 16-mile section, from Ottawa to Richmond, opened in 1998. 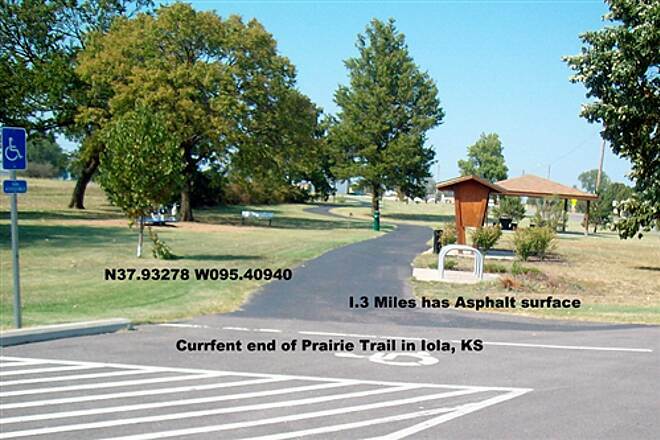 And the third 18-mile section in the south, from Welda to Iola, opened in 2008. 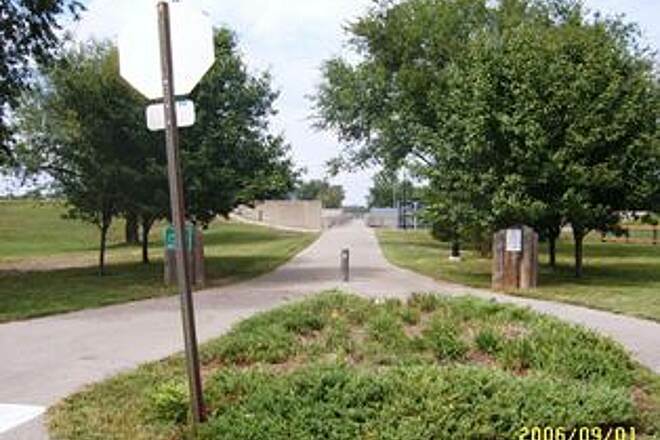 A short extension taking the trail even farther south to Riverside Park in Iola was completed a few years later. The trail has proved popular with residents and visitors alike. 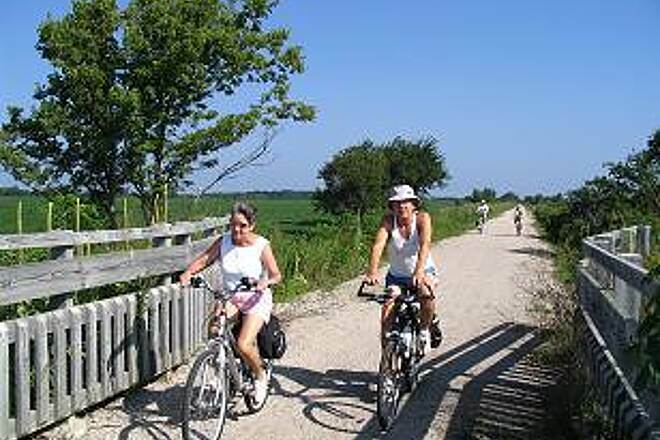 The variety of ecosystems and geography, including wooded areas, farmland and prairies, makes the trail inviting. It also incorporates urban areas and small towns. 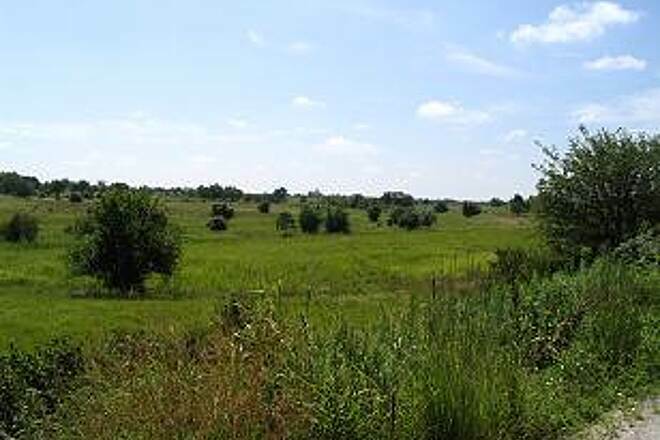 Among some of the Prairie Spirit Trail's more notable natural features are the nearby native prairie preserves, including The Nature Conservancy's Anderson County Prairie Preserve, which protects the rare Mead's milkweed and other vanishing species of the tallgrass prairie. At its northern terminus in Ottawa, the Prairie Spirit Trail intersects the Flint Hills Nature Trail (at Walnut and 1st streets). 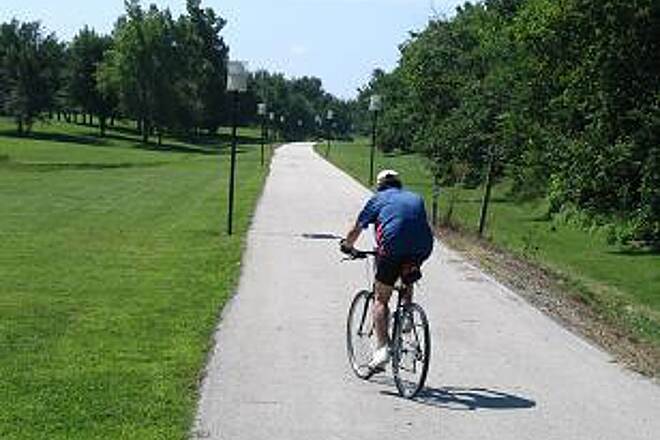 From the southern endpoint in Iola, trail users can continue south for another 6.5 miles on the same rail corridor to the city of Humboldt via the Southwind Rail Trail. 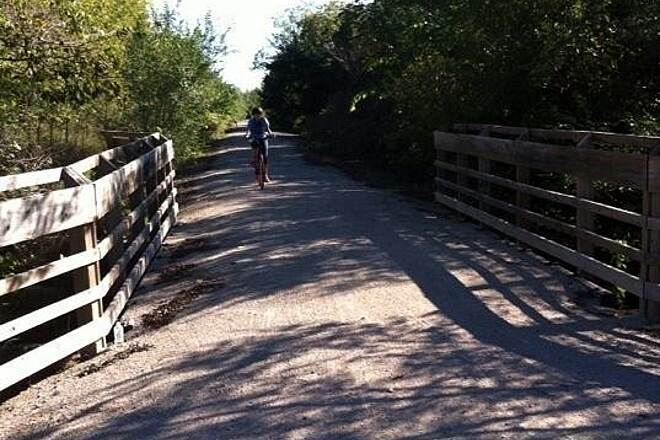 Trail Permits: A per-person trail permit is required for persons 16 years and older to use the trail outside the city limits of Garnett and Ottawa. 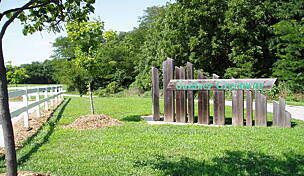 Persons using the trail within the city limits of Garnett and Ottawa may do so free of charge. 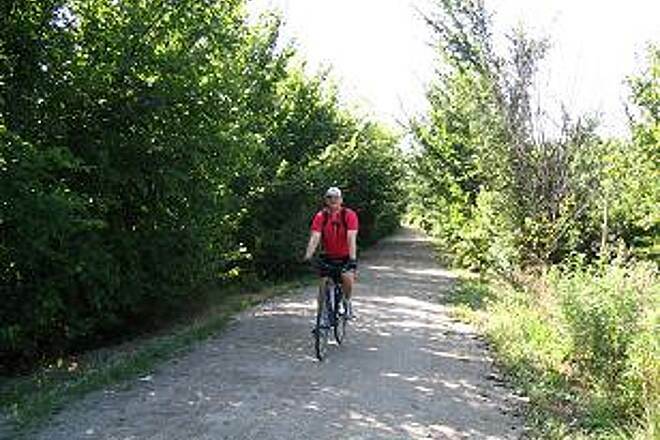 The cities of Garnett and Ottawa maintain the trail within their respective city boundaries. This maintenance is provided in exchange for usage of the trail within those boundaries at no charge. Self-pay daily permits are $3.50 per day and may be purchased at self-pay stations located at the Ottawa, Princeton, Richmond, Garnett and Welda trailheads. No permit is required for persons 15 years of age or under. Facilities: Trail restrooms are available at the trailheads in Princeton, Richmond, and Welda from approximately April 15 to October 15. 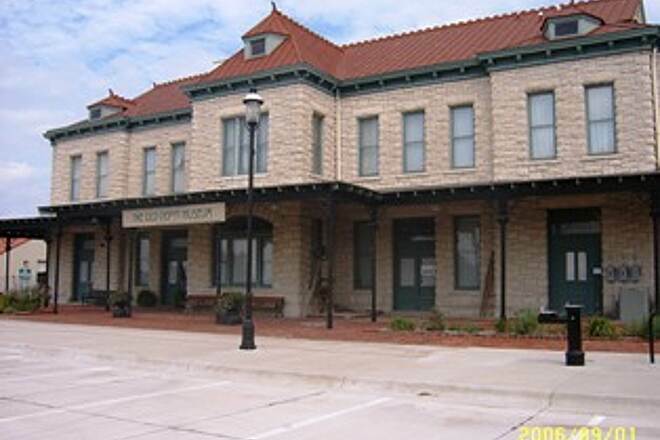 The Santa Fe Depot in Garnett provides restroom facilities throughout the year and is located near the town square in Garnett. The depot serves as a tourism information center as well. 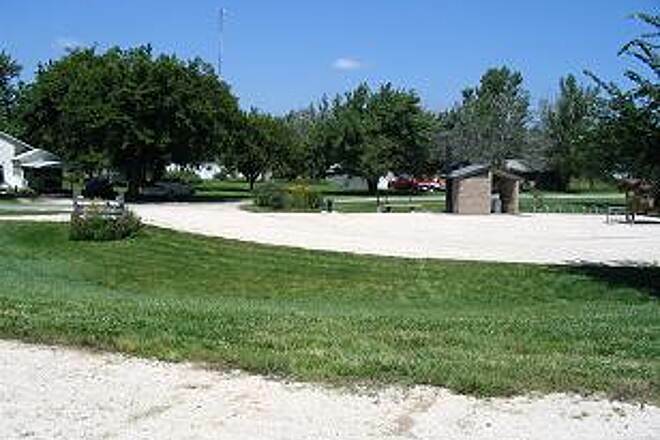 Picnic areas are located at each trailhead. My mother and I walked the Prairie Spirit Trail the last weekend in April 2014. We started in Iola on a Friday morning, stopped in Garnett for the night, and walked to Richmond, Kansas the next day. 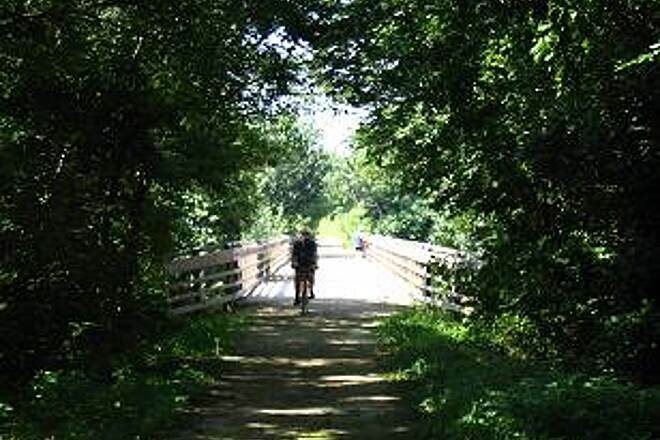 The trail provides beautiful scenery, especially between Welda and Richmond. We were very impressed by the cleanliness of the rest areas. 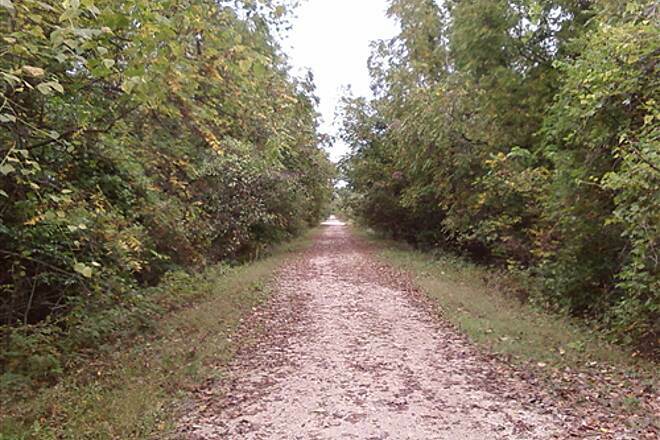 We consider this trail to be a Kansas Treasure, and we plan to go and walk the complete trail from Ottawa to Iola this fall. My wife and I did a self-contained ride over Memorial Day weekend 2014. We started in Ottawa and rode to Iola. 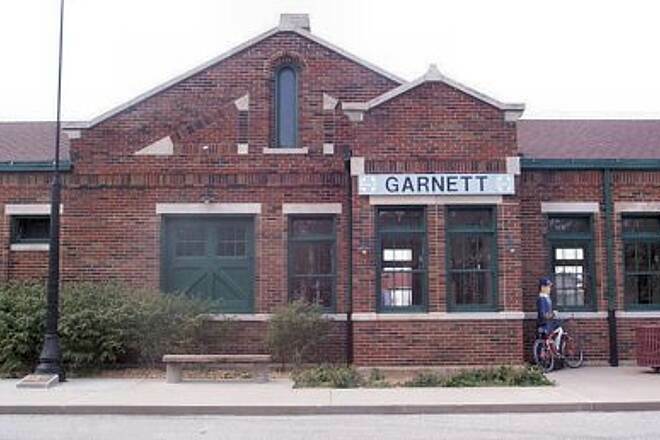 There's not much in the towns along the route; if you want to stop for a meal Garnett is definitely your best bet. Once we arrived in Iola we stayed at the America's Best Value Inn right off the trail. It's a decent place, nothing fancy. The first day, on the way to Iola, we got rained on most of the way. The trail held up pretty well and during the dry times the water ran off or soaked in quickly. By the time we headed back to Ottawa the next day the sun had been out for a few hours and the trail had mostly dried out. There are a lot of open areas that have little shade so it can be pretty hot going. I suspect in a few years the trees will grow over the trail and provide some nice shade. Just discovered this trail about two months ago and have been riding it at least once a week since. We started at Ottawa Trailhead. Longest ride thus far is 30 miles. We start at a new trailhead each time. 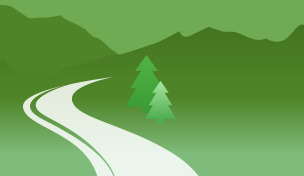 It is a very well maintained trail, absolutely gorgeous scenery and nice restrooms and water fountains along the way. A must ride in Kansas! Great ride -- with the exception of 8 miles south of Welda that is very loose/sand-like trail. Be cautious as there are several deep places and drop offs in this section. This 8 mile section was the most difficult due to being uphill and trail conditions. Next time, we'll go from Ottawa south, even if we're going against the SSE winds. 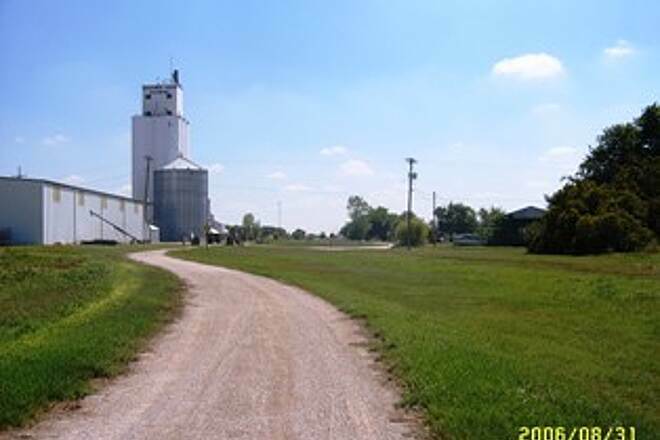 The Prairie Spirit Trail ends at Iola. Southwind/Humboldt Trail continues south from Iola to Humboldt. 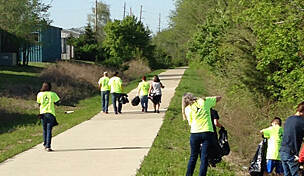 The dedication for the additional 8 miles is June 8, 2013 at 2pm. What a joy to be cycling without traffic. Rest areas were clean and well maintained. We went from Ottawa to Welda and overnighted at Garnett. The grade varied from high to low about 200 ft. but I would not have known for sure without a GPS. Many cracks in the trail due to hot dry weather. Some of the cracks had been filled and some identified which was a help. It required a lot of attention to the trail while riding. If the cracks were still there in fall I would worry about leaves covering them up. It was 100 degrees the day we rode, If I were to go again I would check and see what services are available in the small towns. Ice and a place to cool down would have been very nice. We accessed this trail at Scipio looking for something shady and flat. The three of us are training for a marathon and drove down from KC. The trail gave us everything we hoped for. We got there about 6:15am and headed toward Garnett. It was a shaded 5 miles there, still shaded on the way back to Scipio. No water or bathrooms on this stretch, but we had brought a cooler in anticipation of this. We headed towards Richmond for the last of our 17 miles but by then it was too hot and sunny along that stretch, so we turned back around and headed towards Garnett again. The temp was 102 when we got back to the truck, but this trail was great, soft on the feet, flat, not a lot of traffic. Just a gem! Just make sure to carry your water. My son and I have done the run from Garnet to Ottawa, beautiful ride lots of wildlife and scenery, beautiful bridges over rivers and streams, great bathrooms and rest areas with camping spots and running water, nice clean bathrooms, although and I don't understand why there are no facilities on the Ottawa Trailhead, friends and I have ridden Ottawa to Richmond and back in preparation for the Katy Trail, this is good practice for anyone preparing for this trip as conditions are very similar to those found on the Katy Trail, have not ridden all the way to Iola but am looking forwards to it. My friends and I rode the trail from Garnett to Ottawa and back. It was completely enjoyable. The surface was in great condition, though you have to keep your eyes open to avoid a few spots of erosion and deep gravel. I recommend this to anyone who wants scenic, but not too hilly terrain. Thank you for this trail! I expect to return many times. To prepare for the Katy this summer, my wife and did a ride from Ottawa to Richmond and back with our BOB trailer. Trail is petty nice. I did notice at the self-pay station that a sign stated that the bridge north of Garnett is now repaired so you don't have to do the detour to get to Garnett. 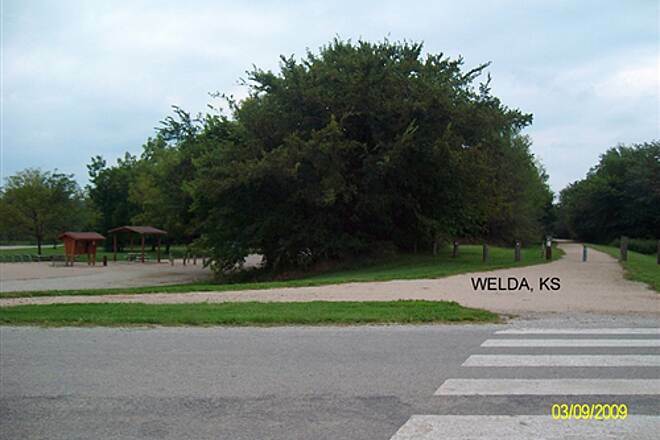 Another sign and map did show a new detour between Welda and Colony due to bridge construction. It is promising that the detour is due to construction at least. Pedaled 5.5 miles south of Welda on excellent limestone surface. Sign at Princeton indicates Bridge out between Richmond & Garnett. I did this 51-mile, flat, crushed-limestone trail from Ottawa to Inola in early October. 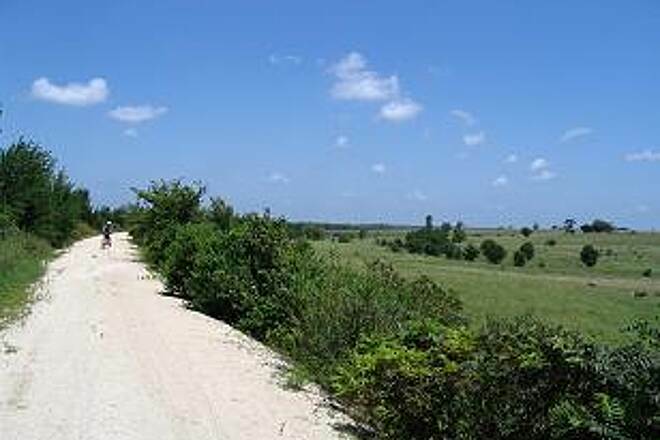 It offers several scenic views, from close-in and afar. 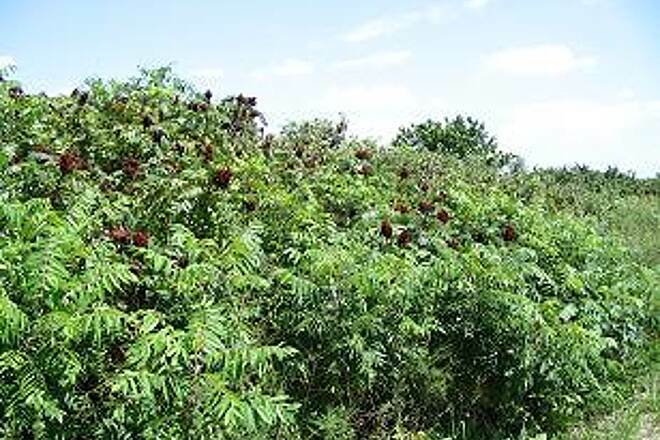 Both sides of the trail have 30-50-ft-wide tree/hedge rows stuffed with numerous plants and wildflowers and its fair share of the sumac and cedar-type evergreens. 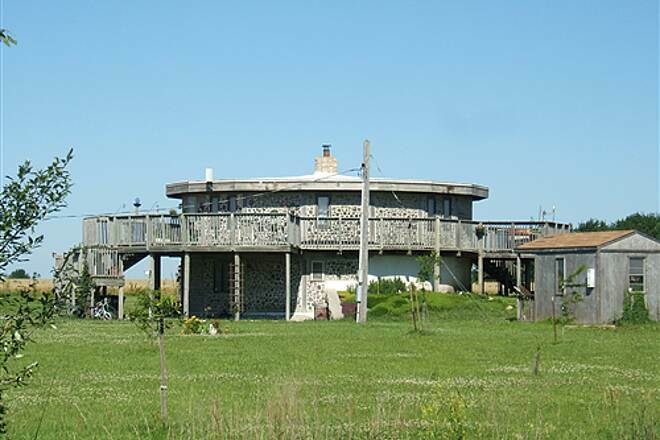 Certain sections are crowded with vegetation and partial canopies, while others open up into prairie and farm views, i.e., cattle grazing next to fields of hay, corn, sorghum, soybeans, sunflowers, and tall grass. 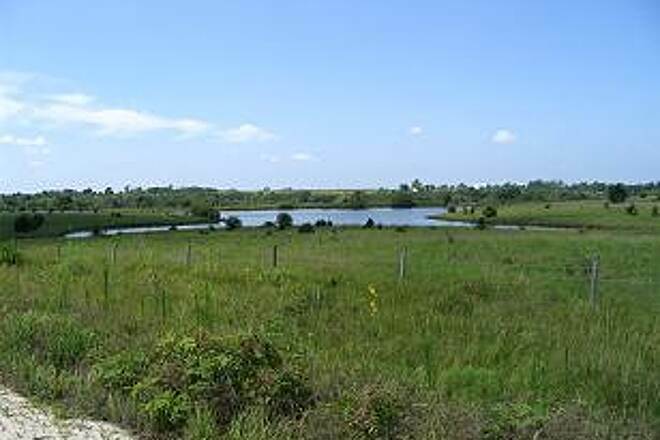 The trail is spotted with creeks, streams, bridges, lagoons, ponds, and small lakes. It also has a few steep side-slopes to stay mindful of. 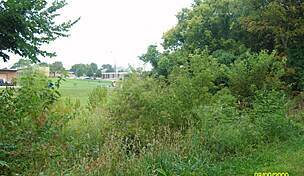 In the sections where the corridor borders wooded or undeveloped land with watering holes, wildlife can be seen, like, bobcats, turkeys, and white-tail deer in addition to the plentiful rabbits, squirrels, racers, and tiny lizards. Some of this wildlife leaves its own trail on the trail. :) An abundance of blue jays, doves, flickers, hawks, and small birds can also be seen all along the trail. Most of its eight well-constructed trailheads have roof-covered picnic tables, but not all of them have running water, yet. In Iola, I used a fast-food outlet for restroom and water. The only thing missing from its self-paying benches ($3.50/day) is a bulletin-board map showing the locations of the towns and trailheads together with the mileages and the availability of food and water along the way. I enjoyed this trail much. 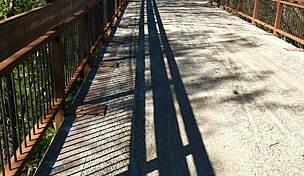 "Enjoyed the trail, Ottawa to past I-35 and the Princton to Richmond, both directions. Dry and not Hot, looking to finish this Trail on my next trip to Kansas. No obstacles to my 41"" wide Tadpole Tri-Cruiser." "Our family had a good time riding this trail. The trail was well maintained and the scenery was great. Of course, we are from Kansas and we are used to the wide open spaces and rolling prairies. There are plenty of wooded areas along this trail, though. The trailheads are nice, clean, and inviting places to stop and rest. Take plenty of water with you, because there aren't many places to buy anything once you leave Ottawa or Garnett. I do agree with the last reviewer about the crossing of the I-35 ramps in Ottawa. This part is not good and not well marked. We kind of had to guess where to go next. But that's only a minor flaw on an otherwise enjoyable trail." "We were disappointed for a number of reasons. To begin with, the directions were poor. The directions in the R-T magazine directed us to the 17th street area in Ottawa. There is a park with parking, but the trailhead is next to the old RR museum. The trail is paved in town and in good shape. As you leave town the trail takes you where you have to cross the entrance and exit from I-35, with no warnings and only one stop sign. Very dangerous. The trail outside of town has loose, soft gravel. It does not appear that the trail gets much use. On a pleasant Sunday afternoon, we encountered only one other couple riding. Finally, we never did find a location to pay our daily fee. Overall, it is just a very average trail and not worth making a special trip to ride." "Beautifully groomed trail. We rode recumbents with 16"" front tires and had no problems with soft gravel. It can be overgrown in places but there are many stunning vistas. We loved it." The ride from Welda to Richmond and back was beautiful. It was picturesque and provided a nice constant pedal on a limestone surface without a break for a glide. We had a great time. We rode 31 miles round-trip and had a great time. The only time we met up with anyone on the trail was in Garnett on the one-mile paved portion of the trail. This trail made for a very nice ride. 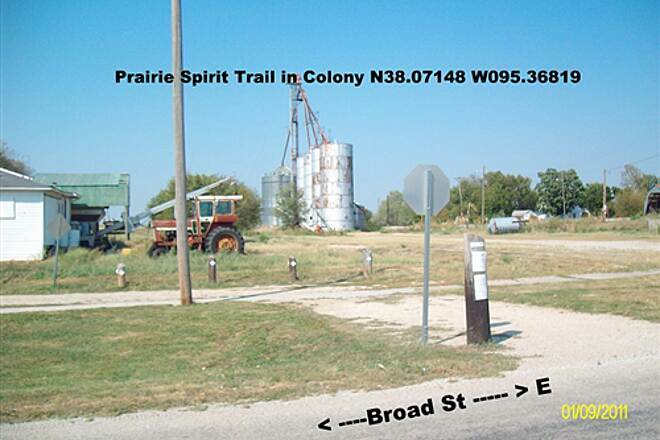 "The name, ""Prairie Spirit,"" is appropriate for this trail, especially when it veers away from US 59. 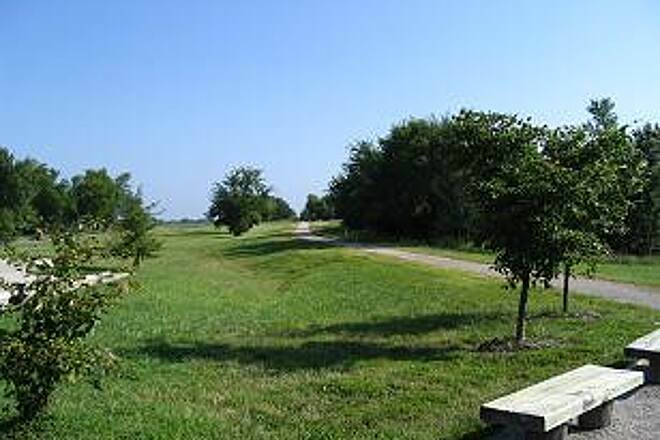 There's a rest stop with a bench 6.2 miles south of Garnett that marks a peaceful prairie scene. I peddled to it on a beautiful October weekend and took pleasure in the quiet serenity and fall color and caught the ""spirit"" of the landscape. 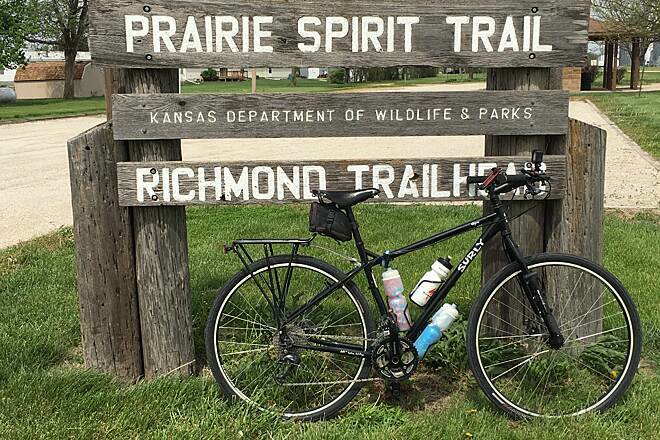 My compliments, too, to the Friends of the Prairie Spirit Trail for helping to maintain the train station at Garnett, probably the best trailhead and rest stop I've encountered on a bike trail." "A friend of mine came over from Missouri and we decided to ride this trail from Princeton to Welba and back, which is about 54 miles. The heavy rains of June and July have encouraged a bright green landscape. 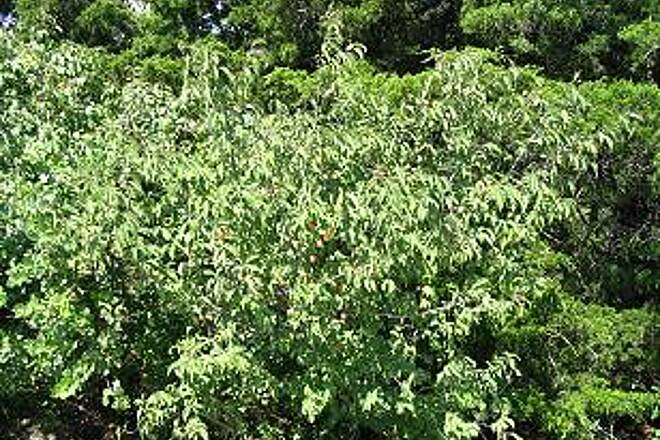 The bushes were growing fruit like small crab apples and flowers of various colors. We rode for awhile with two couples from Topeka who happened to be starting at Princeton at the same time. They were going to have lunch in Garnett and then return to Princeton. We encouraged them to go to the Trade Winds, which is a pub off the SW corner of Garnett's square. We ran into them there after we doubled back from Welba and compared notes on the ride. The scenic views between Garnett and Welba might have been the best. There are a number of long vistas as the trail goes up into hills near Welba. Along the way, we spooked a group of wild turkey who ran ahead of us along the trail. We were amazed that the big birds could run as fast as we were riding. They finally dove into the deep vegatation and disappeared. Garnett has several places to eat and get a beer. 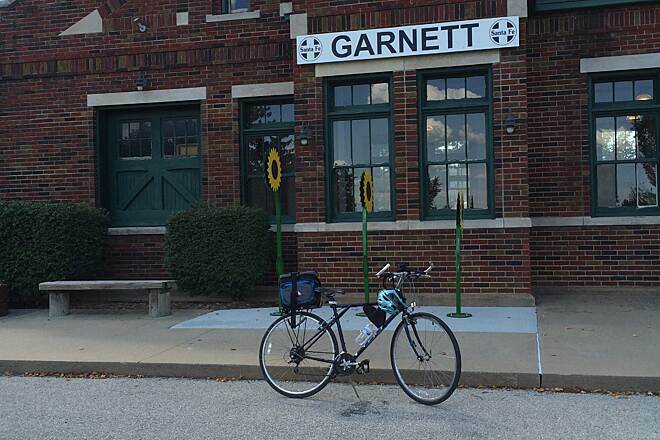 The trail is paved and lit in Garnett and goes right past its very scenic town square and restored depot. The other towns along the way had fewer services, but the trail managers have well spaced toilet and water factilities. 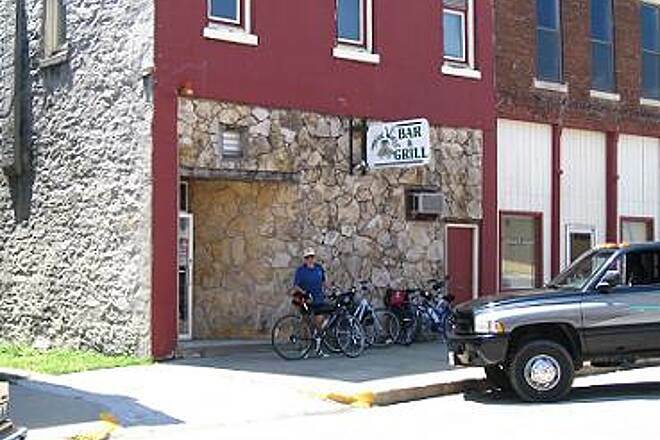 I could see the businesses in these towns generating a lot more business traffic if they attracted riders like they do along the Katy Trail in Missouri. That would entail posting ads on the bulletin boards at the trail heads and putting bike racks in front of their places. Having ridden the trail several times before, I would suggest that the rider plan their ride to finish going north to take advantage of the winds that usually blow from the south. 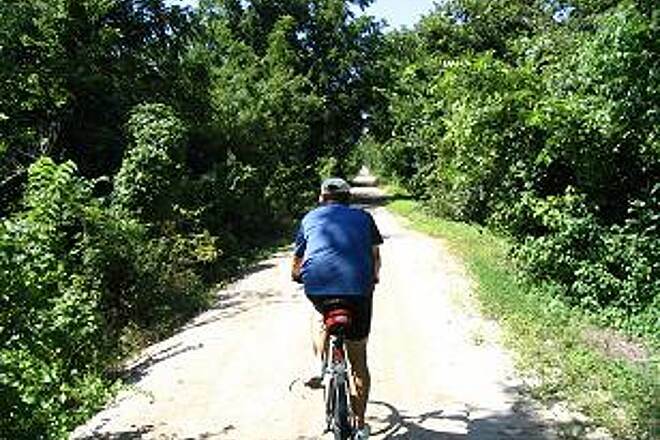 This trail is a great experience for bike riders of all levels of experience. You should give it a try!" 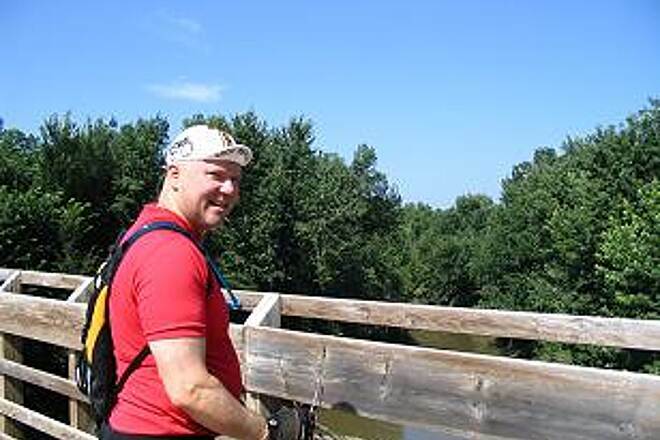 "A friend and I biked the portions from Ottawa to Princeton and Garnett to Welda. The brush has grown so high on either side of the trail that you can't see much of anything, especially around Ottawa and Garnett. The brush thins out some as you get close to Welda where there are some rolling hills and pasture on either side of the trail. 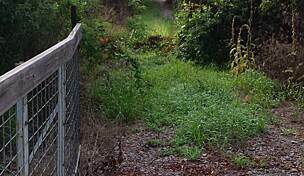 But someone ought to get a bush cutter out and run it along most of the trail. "